Fabricated Metals manufactures a complete line of instrument cases utilized in Rail and Transit Industries, Telecommunications, Roadway, Computer Systems and outdoor/indoor Battery and Energy Storage applications. 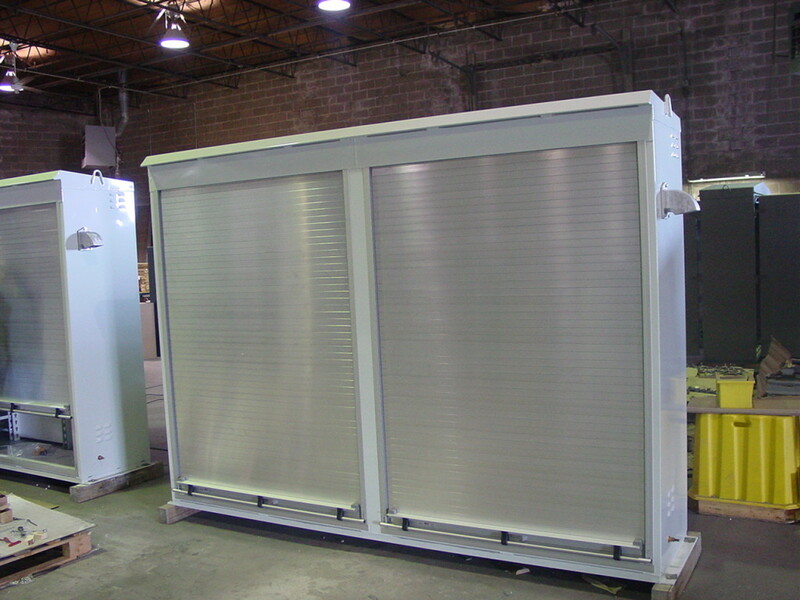 Our enclosures can be customized and constructed to meet the specifications of your job. Instrument cases are typically found in applications for positive train control, housing of electrical components, switches or in backup energy storage solutions (batteries or generators). Interiors are finished to precise specifications. Typically, we install insulation, circuit breakers, heaters, air conditioners, vent fans, floor vents, backboards, relay racks, battery trays, lighting and ground posts. Case exteriors can be finished with a variety of painted coatings or finishes. Aluminum finishes, Hot Dip Galvanized and powder coatings are optional as well. Roll-Up Door cases for confined spaces are perfect for when there isn’t available space to open large doors. 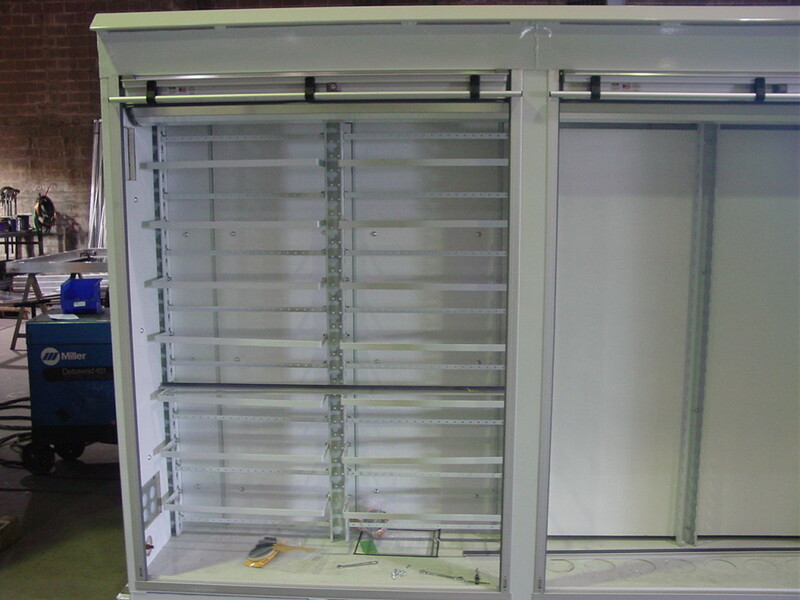 Roll-Up Door Cases can be made to any size requirements large or small. © 2016 FABRICATED METALS is a division of Fabricated Metals LLC.